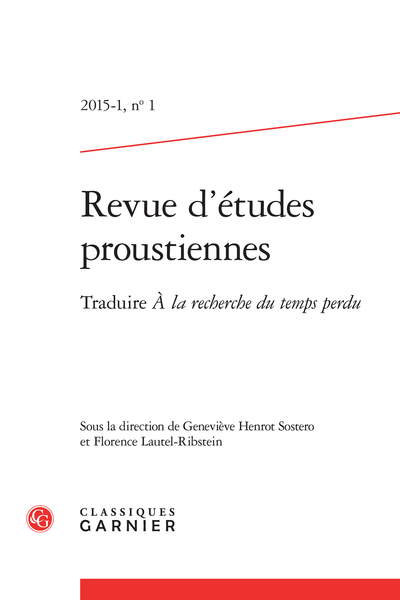 Abstract: Undertaking a Dutch retranslation of Du côté de chez Swann presupposes a study of the reception of Proust in Dutch literature (p. 97) and an appreciation of the role of the retranslation. Confronting styles sheds lights of the original as much as the re-creative acts which underpin the translation. At the stylistic and lexical level, for example, how can the two opposing but symmetrical pitfalls of archaism and anachronism be avoided?